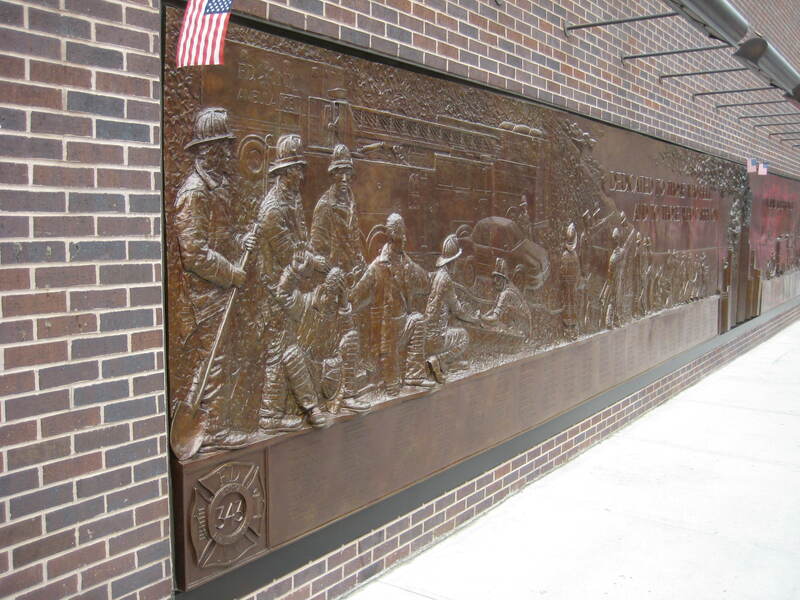 To omit the September 11 Memorial and Museum from your itinerary wouldn’t seem right. I believe it supersedes any other monument, venue or New York icon and to bypass it would almost be disrespectful. The buskers in the New York City subways are so talented, one wonders why they aren’t playing to a crowd on American Idol. They are that good, you would want to miss your train. And the next few trains after that. It is an absolute treat to witness these performers, you momentarily forget where you are and just by hearing, may have been transported to the walls of Carnegie Hall. The acoustics underground are so amazing that the buskers I listened to didn’t need a microphone.. As perplexing and convoluted is the city’s intricate train system is for tourists, these buskers are the bright light and sound to New York’s dark, dingy, smelly and hectic underground lair. The likes of famous artists such as U2 and Jessie J have performed in New York subways much to the delight of unsuspecting commuters. What I witnessed was every day run-of-the-mill people who happen to be very talented singers and musicians just as good as the famous ones. Turns out, numerous buskers are professional artists and successful in their own right and do it not for the money but for the sheer passion and thrill of street performing. Busking in subways over the past 30 years became a staple of New York’s artistic and urban culture. Performing in subways was illegal until the 1980s and in 1987, the Metropolitan transport Authority (MTA) established the Music Under New York (MUNY) program to help schedule and promote performances for buskers across 30 locations in the transit system. Busking in New York has become such an institution that performers need to audition in order to make the cut. So you get your smartphone ready – and of course – lots of change. Central Park is like a mirage. It looks like an out-of-place field of green pasture implanted in the middle of the concrete jungle – a stark contrast to the cacophony, urban sprawl and grittiness of New York, both the tourist’s and a local’s refuge. It is simply that big and beautiful, it would take more than a full day to explore it at a tourist’s leisure. Inside there is a zoo, a castle, manmade lakes, museums, Bethesda Terrace which has been the back drop to countless movies and TV shows, and year-round events and festivities. 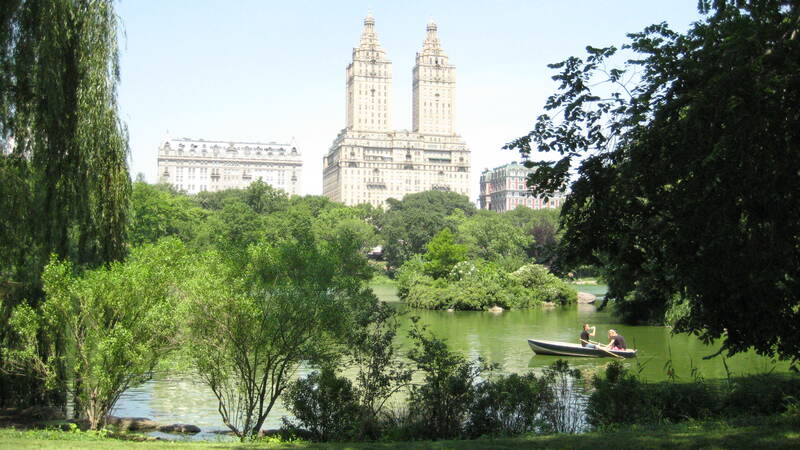 When planning your itinerary in New York, Central Park needs special attention of its own because it can be that deceptively small onscreen or on paper. The park was so overwhelmingly big for us that we couldn’t see it in the short amount of time we had unwittingly allocated. We took the subway from 72nd Street to 86th Street just so we could get to the Reservoir. I overheard locals on the train joking about going to Central Park in the dark. One guy laughed there was no way he would go there after dark unless he wanted to get robbed or attacked. I took this as very helpful advice. New York is a cinematic city. More than 20,000 movies have been filmed in New York, so it’s no surprise that roads and certain sections are constantly cordoned from the public for shootings so prepare for detours. 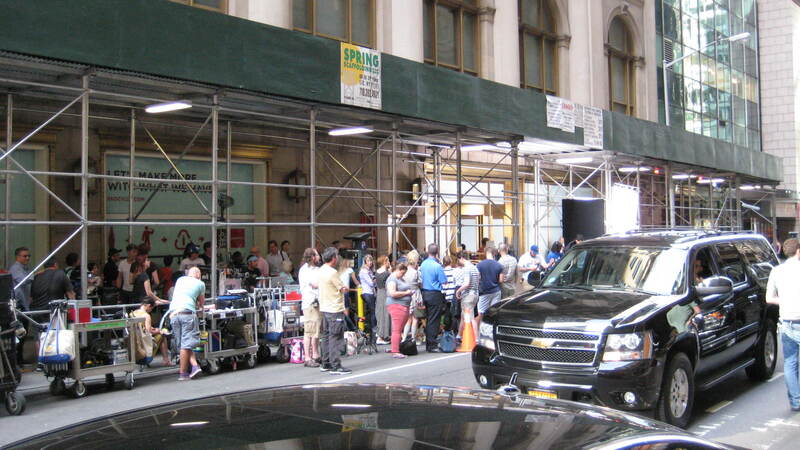 I remember filming was taking place on Wall Street and I asked one of the crew members what was going on. He mentioned a B-grade movie I couldn’t remember and a cast I couldn’t recognise. These situations usually draw massive onlookers if it’s a big budget Hollywood production so wherever you are in New York, there is someone famous taking the same subway as you, walking the same avenue and wanting the same New York experience as you. I spotted Russell Brand on our flight to New York as well as Andrea Bocelli walking the outskirts of Central Park. I usually don’t get star struck but when you’re in the best movie set in the world, you wouldn’t want to film your story anywhere else.